A few weeks ago a FaceBook friend reminded everyone reading his timeline of the NYC Blackout of 1977… 38-years have passed since then and I really never thought of it since. Now the song “WhereWere You When the Lights Went Out?” keeps running through my mind NON-STOP. On July 13, 1977 the lights went out in New York City. I had already moved upstate, but my newly widowed mom AND my newly widowed mother-in-law lived in the Bronx; we made the trek into the city to do whatever we could for each of them. Both ladies were fiercely independent and had everything under control, they didn’t need any rescuing — as a matter of fact my mom, disabled and all, let the other tenants of the building she lived in know that she had a fresh, large box of Shabbos candles and anyone who needed to light their way only had to knock on her door. She even had a semi-party going having made a full pot of coffee and inviting several neighbors in. I do remember the Northeast Blackout of 1965 very vividly; it was a Tuesday afternoon in November, the Cold War was everyone’s great fear and the Cuban missile crisis was still a recent memory. I was running an errand for my mom and I stopped in at the local candy store for a newspaper when the lights blinked and then went out. Leaving the dark store behind me I noticed frantic neighbors running on the block. One of the women was crying and lamenting aloud that the Russians must be attacking. Another was convinced the UFOs would soon appear. In everyone’s mind we were in imminent danger. At 11-years of age I wasn’t panicked until I started listening to the adults around me, then I got scared; I ran home and up three flights of stairs to be with my mom. She was calm. 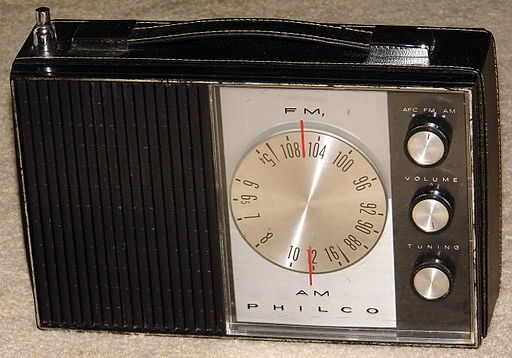 She had already pulled out a battery operated radio and was listening intently to the new reports — the blackout had affected most of the northeast and all the way up to Canada down to the Jersey shore and as far west as Pennsylvania. Ever the planner she had already pulled out her Shabbos candles and had them ready through the apartment as soon as the sun went down. My sister came home from high school (by bus) and soon my dad, working in New Jersey, traversed his way home as well. Daddy was a member of the local Civil Defense unit (precursor to the NYC Auxiliary Police) and, after assuring that his wife and daughters were okay, he went to the local police precinct for assignment. While my dad was part of a team rescuing commuters from stalled trains, Mommy had my sister and me going door to door in our building and handing out Shabbos candles to anyone who needed. Not really aware of food spoilage, we enjoyed peanut butter and jelly sandwiches for dinner and rested after delivering candles and relaying the news reports throughout our building. In August 2003 the lights went out again during another widespread Northeast blackout. I had been working at a county library and WAS preparing for a musical show we were hosting (needless to say that was postponed). After helping to shut down the library branch and trying unsuccessfully to reach my 19-year old son who was having a blast at a south New Jersey amusement park which apparently had its own emergency generator, I drove home rather nervously without the comfort of traffic lights. Hubby and daughter also made it home only to head out again with our local ambulance corps on mutual aid into New York City; several corps sent rigs to the city when they asked for help and drove caravan style on the Jersey Turnpike to the George Washington Bridge (and got stopped by a State Trooper for speeding!). Meanwhile the son made it home without incident, he did however notice that all the lights were out when he and his friends left the amusement park. While all of this was going on I was checking with all of my neighbors to make sure that they all had, you guessed it, Shabbos candles to light their way through the night. 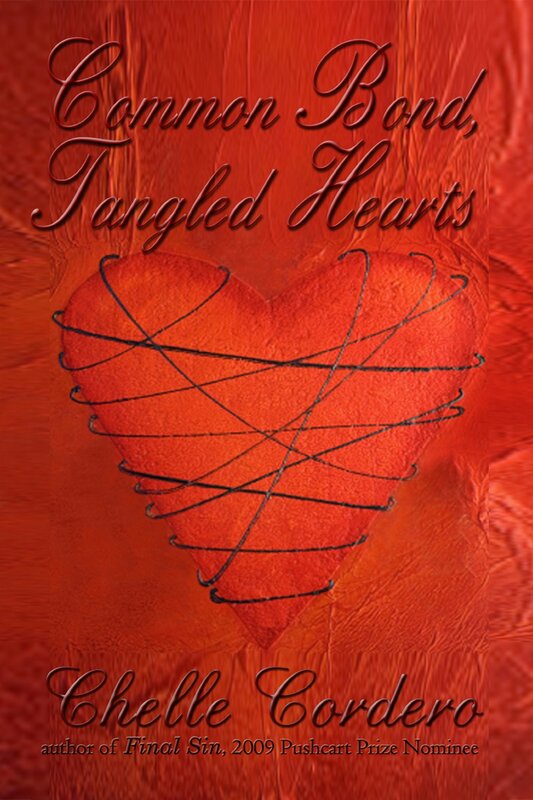 My entry this week is from Common Bond, Tangled Hearts. Layne Gillette’s world is turned upside down when a man she has never met shows up to lay claim as the father of her 6-year old son. We are picking up immediately after Layne runs from the room when Justin kisses her unexpectedly. "Layne," he drew a deep breath in and followed her into the living room, "what's wrong?" She had her back to him; "I... can't do this..." her voice wavered. "I'm sorry Layne, I didn't mean to take advantage," he touched her shoulder and she flinched, "I've just wanted to kiss you and hold you." She turned to him "are you married?" He sat down on the couch, "when I asked if there was any man in Dennis' life you said no." "Then where is your husband?" She paced, "I left him the night that Dennis was conceived." Layne Gillette’s world is turned upside down when a man she has never met shows up to lay claim as the father of her 6-year old son. Justin, the victim of a fraternity prank, and Layne, the subject of a forced insemination, have produced a beautiful child that they are both willing to protect… at all costs. The two parents realize they can love each other, but when Layne’s abusive “ex-husband” shows up, they are torn apart by danger, kidnapping and lies. Justin won’t give up until Layne is returned to him. Layne uses her newfound strength, courage and knowledge to defy Charlie’s ugliest demands. This is EXCITING news, please help us to shout it from the roof-tops! If anyone is in the area we would love to meet you in person! Multi-published Vanilla Heart Publishing Authors Chelle Cordero and Charmaine Gordon will be at Palaia Vineyards on Friday night, July 31, 2015, 6:00PM to 8:00PM to read from their books, host an interactive discussion of the stories and the writing process, and sign book copies. Copies will be available for purchase. There is no cover fee; participants must be at least 21-years old. 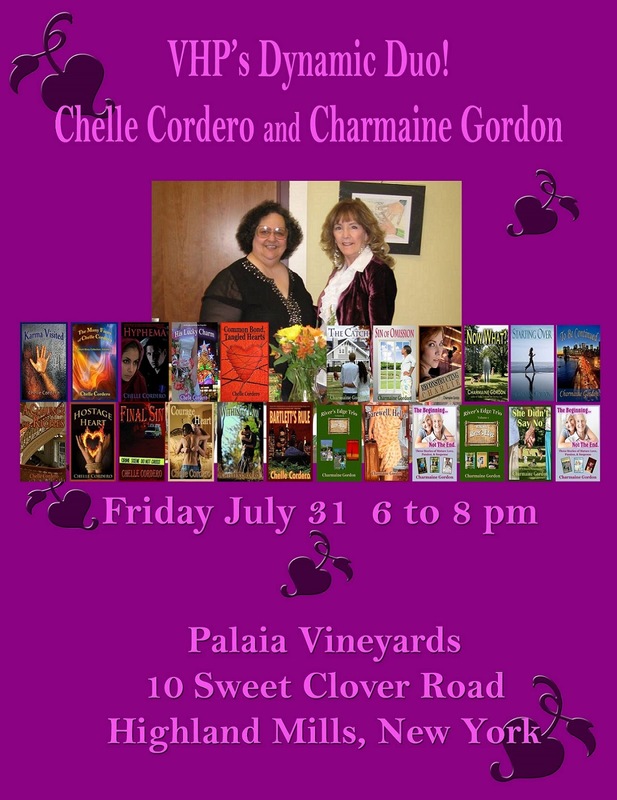 Chelle Cordero is an award-winning author who writes stories of Passion and Suspense; VHP has published ten Cordero novels including Final Sin, a murder mystery based in the Hudson Valley. 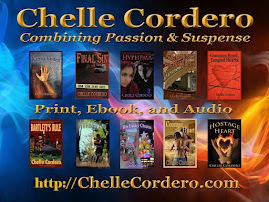 You can find more information about Chelle Cordero at her website http://ChelleCordero.com. 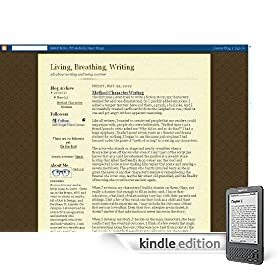 Charmaine Gordon is a former actress who writes books about women who Survive and Thrive; Charmaine's first novel with VHP, To Be Continued, has been optioned for a television movie. 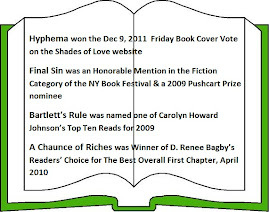 More information about Charmaine Gordon is available at https://AuthorCharmaineGordon.wordpress.com/. 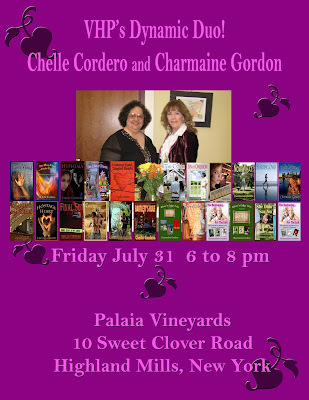 Kimberlee Williams, Managing Editor at Vanilla Heart Publishing, said “Our VHP Dynamic Duo certainly promises to be entertaining and make for a fun-filled evening at Palaia Vineyards.” Vanilla Heart Publishing is an independent publisher based in Washington State. Palaia Vineyards is named for the winemaker's grandfather, Angelo Palaia, who emigrated here from Italy and passed his winemaking skills on to his son and grandson. 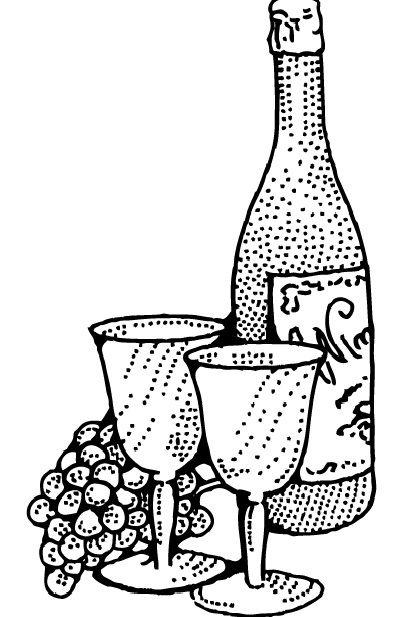 Over ten acres of vineyards are situated on a 200-year old Hudson Valley former dairy farm. The old barn has been restored and is now a beautiful, clean winery on the lower level, with storage and a tasting room above preserving the look and feel of the historical building. Justin grabbed her arm and made her look at him, "but it is simple, Layne, why won't you trust me, what's got you so scared?" She looked up at him and he saw fear in her golden eyes; he felt an overwhelming need to protect her, he wondered if he could ever make her feel safe. Justin let go of her arm and when she didn't move, he slowly moved his head down to touch his lips to hers. Layne's entire body stiffened and then melted into him. He wrapped his arms around her and pulled her close against him, "I don't want to hurt you or Dennis, please trust me." She parted her lips and Justin traced the line of her teeth with his tongue; Layne touched the tip of her tongue to his and both of them felt as if the room had ignited. Suddenly Layne pushed away from him and ran from the room. 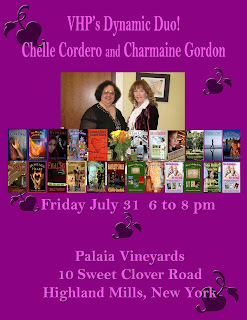 Meet VHP Authors Chelle Cordero & Charmaine Gordon on July 31! Most writers by nature are an insecure lot. We're emotional and we go through highs and lows "faster than a speeding locomotive". We need constant reassurance. Yes, I've said it, writers are NEEDY. Does anyone read my words? Does anyone know I exist? Do we write for recognition? LOL, well it's certainly not for money! If you think I'm exaggerating, speak to any writer and you'll find that we hang on every word once someone starts off with the sentence, "I just finished reading your (insert book title here) and need to know when you are writing the next one?" When this is said to me I want to do a happy dance, Yay, I have a fan!!! We spend hours promoting our books... 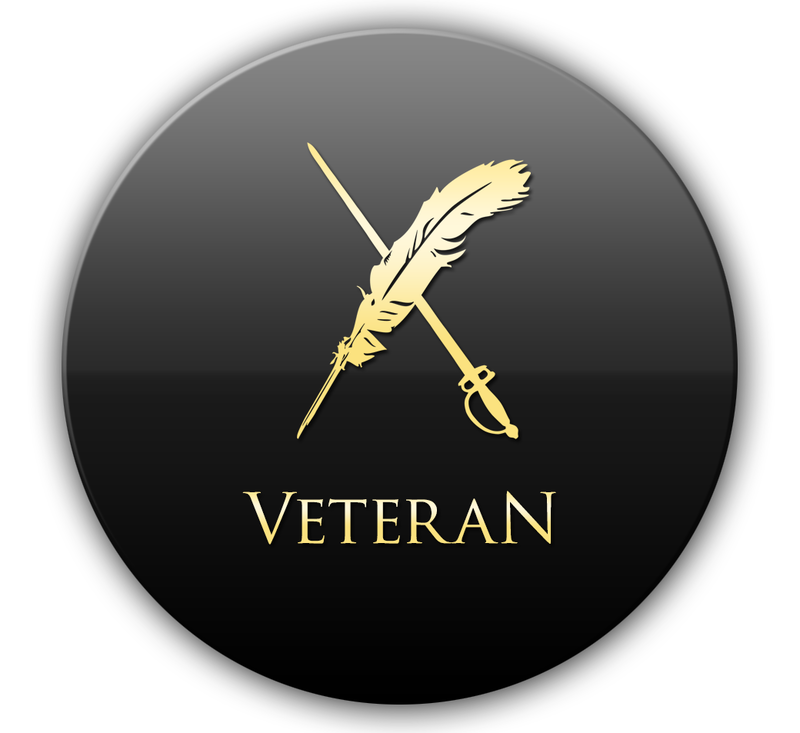 I've offered free books in exchange for reviews, asked folks to join my Street Team or to follow my blog and sometimes it seems that I am invisible, or atleast I feel that way. I want to walk through my local supermarket and have people stop me to autograph a book (preferably one that I wrote! 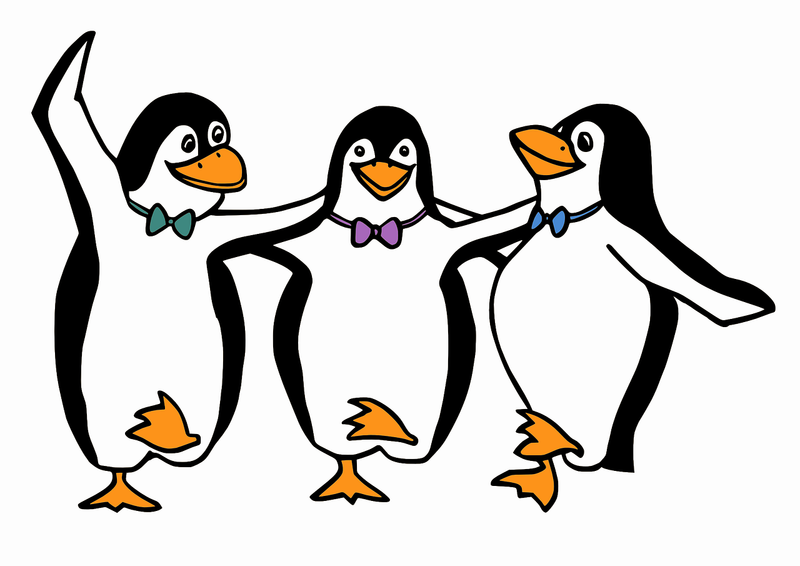 ), I want them to be all bubbly because they recognize a famous author. Several years ago I accompanied my husband on a business trip to Rhode Island and I spent a day just writing in our hotel room while he went off for a meeting. The maid had to clean the room and before she left I offered her a copy of my first book explaining that I was THE author. She smiled and nodded and politely thanked me for the book as she simply placed in on her cleaning cart. Moments later I heard her screech in the hallway and I went to the door to see what was going on — "Oh my Gawd! You really did write this book!" as she frantically pointed to my author picture on the back cover. My neighbor's daughter is a fairly well recognized actress (love the girl, really) and I've stood with other residents of the street we live on to hear them say, "Oh it's so thrilling to actually know someone who's famous, she's made a name for herself!" And while I kvell for this young lady, I nod and smile and feel just a tiny bit deflated that no one seems to acknowledge my name in print. I want to be FAMOUS! So, just like I said... insecure. 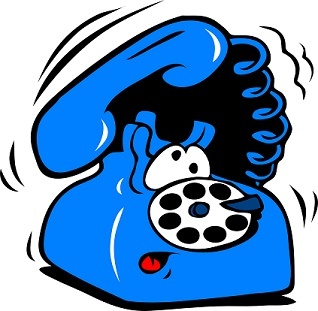 "I spoke with my lawyer..."
Layne was instantly alert, "what did you need to speak to your lawyer about?" "I want to set up a trust fund for Dennis." "To help provide for him," he saw how defensive she was. "We've done fine without your help for six years," she stood and took the empty soup bowls back into the kitchen and hid her trembling hands. "I didn't say you haven't," he followed her, "look, I've got some money..."
"And I don't, so we should be thankful and all that happy crap. I've managed to raise Dennis on things that are a lot more important than money," she turned her back to him and began washing the bowls, "I know all about J. Ross Paint and Lumber." There are also a lot of notable writers born in the summer months, here are a few born in July: How many have YOU read? Memories are forever yours and yet there are times when the memories should be stored so that you never do forget. Baby albums which follow a child through grade school are precious memory keepers. Souvenirs from family trips help keep the fun in mind. Video-tapes, CDs and DVRs along with the older 8mm home films help to keep the images alive. One of life's changes involves moving on such as leaving a family home for new adventures. Preparing to leave a home where children grew up, where rooms were witness to first steps, where couples grew old together can bring joyful tears and a need to hold on. 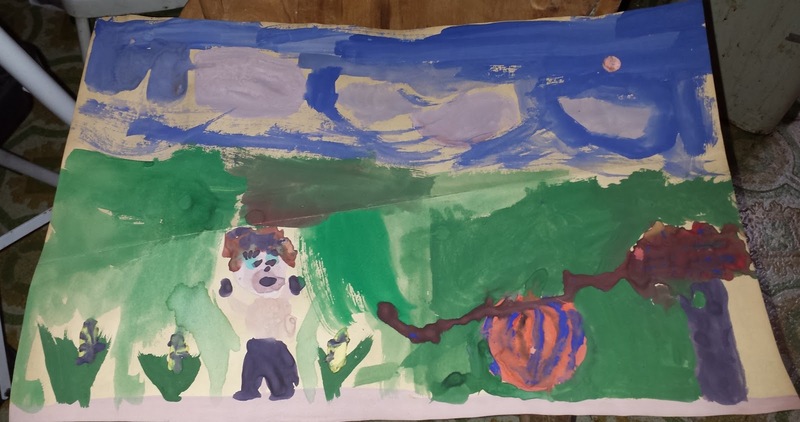 I'm making a "Memory Album" filled with my childrens' third grade paintings, greeting cards that were given to me through the years for various occasions, photographs of various keepsakes that would never survive packing and moving. Maybe paper waste to some, these memories will help to augment the ones I carry in my mind and heart. In days to come I will be able to sit with my treasures and enjoy the past even when the past is no longer within my reach. I'm overly sentimental, I know. I look forward to my tomorrows. Everything that has happened to me has led me to where I am going and the future holds such promise. Following right after last week's snippet, Justin joins Lane in her apartment for the proffered soup. Aware that Justin comes from money makes Layne nervous about his approval. Years ago, Layne had learned to stretch a dollar by making leftover meat and vegetables into stew and then into a watered down soup; she did her best to provide the best she could for her young son. She felt guilty for denying him a father, she didn't want to have to deny him anything else either. Layne arranged everything on a tray and carried it to the small folding table she had set for the two of them in the living room. Justin was in the living room, he offered to help but when she told him it was no bother, he used the time to look at the modest furnishings. The clay pot on the coffee table looked like Dennis might have made it in school and his mother proudly displayed it for all to see just as if it were some expensive Ming-Dynasty vase. It obviously hadn't been easy for them financially. Layne was worried that he would judge their meager set-up harshly, she worried that he would want to take Dennis away from her; he could afford to give their son so many luxuries. "Lunch is served, I'm sorry, I'm sure you're used to much better." "It smells great, thanks for inviting me..."
It's July 4th weekend here in America! 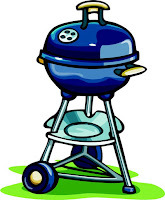 I hope you'll join me for a virtual barbecue & festivities!